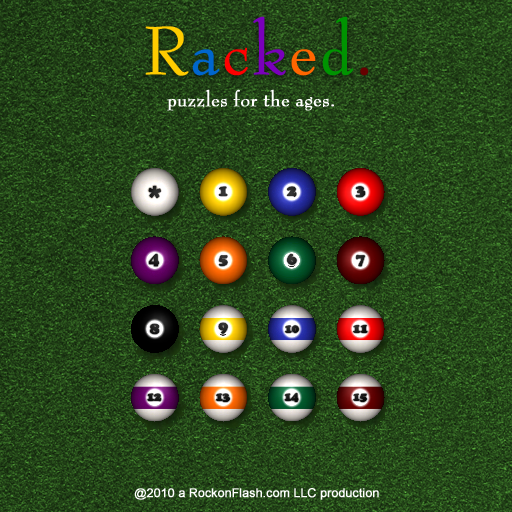 A little Rubik’s cube, a little Pool action, a little strategy, and you’ve got Racked! 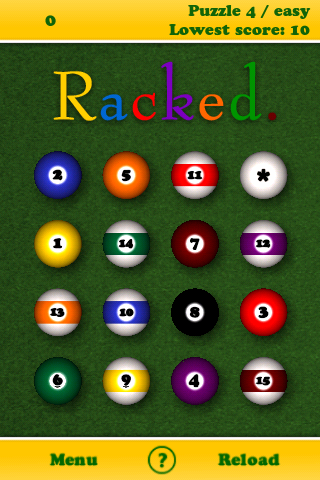 Move your pool balls by swapping stripes and solids. 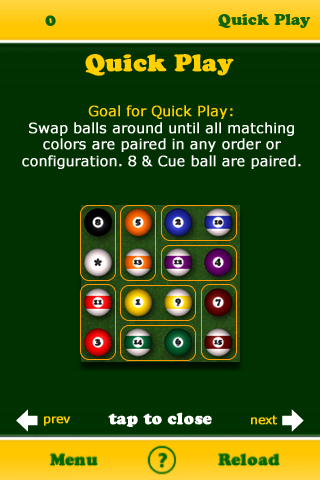 Cue ball can be swapped with with any ball unless you’re playing in Expert mode! 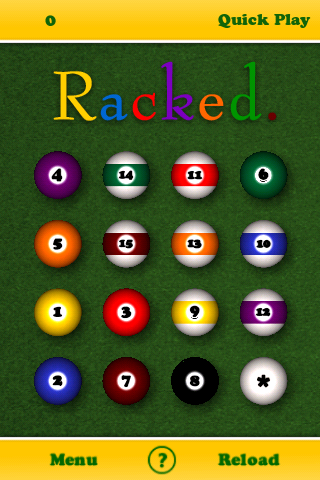 In Easy mode, just match colors with colors ( blue 2 ball with blue striped 10 ball for instance ) until all balls are next do their corresponding colored solid or stripe counterpart. 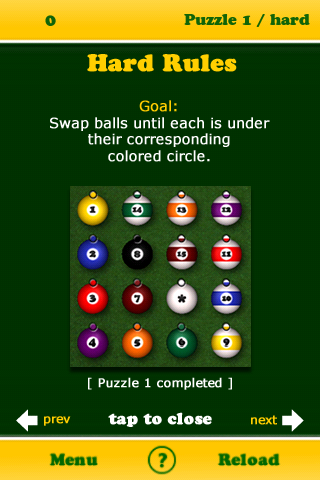 In Hard mode, balls are randomized at the start and you must move them until all are under their corresponding colored circles. The game is fun for all ages! 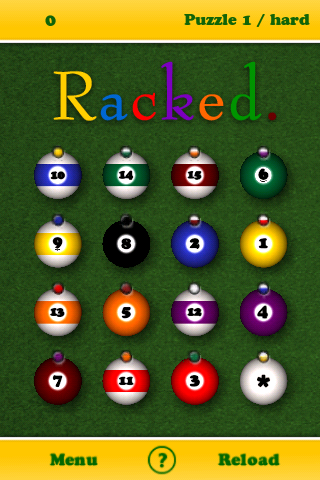 How many moves does it take to rack the balls? 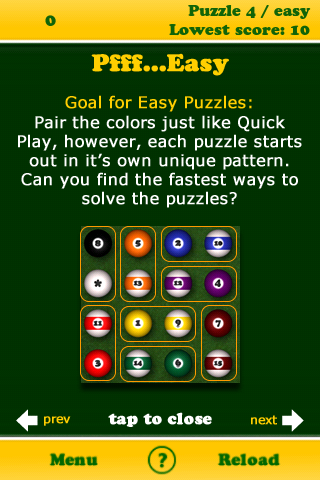 How many moves does it take to complete the 8 puzzles on Easy? How many moves on Expert? 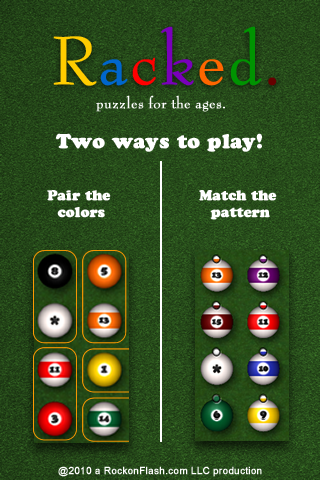 My daughter has Puzzle 3 / easy down to 12 moves!